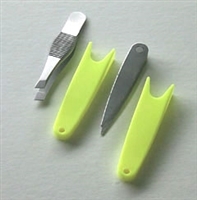 This set contains two Precision Stainless Tweezers for all your Personal Needs. Tweezers are 5.5" long with super-sharp tips made of fully hardened spring steel. Our stainless steel, sure-grip tipped precision tweezers slip into a handy protective holder. 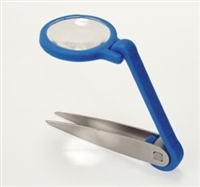 The best tweezers get even better with the addition of 5x magnifying power.